When it comes to protecting you, your family and your hard-earned assets, estate planning should be an integral part of your overall financial plan. It may be common knowledge that estate planning 101 includes discussion of guardianship of minor children, transfer of assets or property to heirs, and leaving money to charity. However, estate planning can provide a high level of protection in a wide variety of scenarios for individuals, married couples, as well as children. For those who do not establish an estate plan or use the help of an estate planning attorney, financial affairs can end up in the hands of the court, free for the public to see. Let’s take a look at the most common tools used in estate planning 101, and some examples of who may be served by utilizing them. 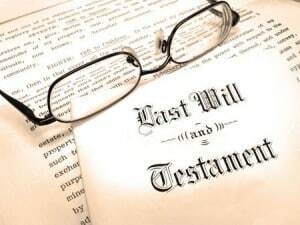 A last will and testament, more commonly referred to as a will, is the estate planning document most people are aware of. A properly established will names the guardian you wish to take care of your minor children, should you or your spouse pass away, and it names the executor of your estate (the individual or institution who pays final expenses and estate taxes if applicable). In addition, a will allows you to lay the framework for where your assets will be transferred or distributed upon your death. While a will may seem more powerful for families with young children or those with accumulated assets, a will is an estate planning document that is crucial for most adults. A will provides a clear picture of where you want your assets and property to go upon your death without outside interference. When a will is not in place, the courts decide who inherits your possessions. In addition to sharing how assets should be distributed and guardianship of children, most individuals design their estate plan with the intent to avoid probate. Defined, probate is the process the court takes to determine how assets are transferred and to whom, and who takes care of minor children. The probate process is public information, and can be a costly endeavor for those who do not have the proper Reno estate planning documents in place. A trust document helps individuals and families avoid the probate process altogether, keeping financial affairs out of the public eye. 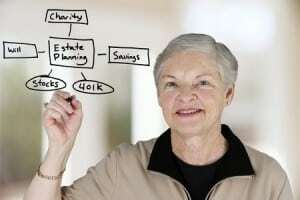 Trust documents come in a variety of forms, and as such take the assistance of an estate planning attorney to draw up. A living trust, for example, allows you to name a trustee who will oversee the transfer of assets as well as the beneficiaries who will receive them. A living trust is established while you are still living, and can be created as an irrevocable (meaning it cannot be changed) or revocable (meaning changes are permitted) document. There are specific benefits and drawbacks to each type of living trust, making the assistance of an estate planning attorney a necessity. While it may seem like family estate planning is a clear essential for individuals with minor children, creating a will or trust is just as important for individuals. Estate planning documents provide for retention of control over your cash assets, investments, property and possessions beyond the grave. For instance, if you want to transfer assets to a charitable organization, such as a church or university upon death, without proper estate planning your funds will be left in the hands of the probate court instead of the charity of your choice. Documents created with the help of a Reno estate planning attorney can ensure you keep your financial matters out of court, protected from public viewing. In addition, an estate planning attorney can assist you in creating the proper documents to keep your assets intact by protecting them from the erosion caused by estate taxes and probate costs. Finally, a Reno estate planning attorney can help you determine which type of documents are suited to meet your needs, ultimately allowing you to retain control over your assets even after you pass away.